Friday February 28, 2014 at 9 am, Pen Bay Room, Samoset Resort, Rockland. The Maine coast abounds with resources of various kinds, and though most people would probably point to our seafood and our scenery as the greatest marketable resources we have, we can count the personal experience as one that's largely untapped, especially as it relates to tourism, commercial fishing and aquaculture. Consider: Tourism is Maine's largest industry, visitors are increasingly looking for personal experiences during their stay, and Maine has an abundance of capacity, knowledge and world-famous wit to deliver the goods. For those who might be considering tourism as a way to diversify income, we hope to show you the value of personal experiences in the tourism trade, and how you might have more to offer than you might think. Our panel and discussion will get at the central issue for attracting tourists - providing a real, entertaining, informative and personal experience - and will provide resources for fishermen and aquaculturists to get started. Panel includes: Island Creek Oyster, Treworgy Family Orchard, Lobster Boat Tours from Isleford, a new charter boat captain, and Maine Department of Economic and Community Development and others. Workshops were held in December, 2013, in Belfast, Machias, and Portland, to provide information on how commercial fishermen and aquaculturists can tap into the tourism industry, and vice versa, to diversify everyone's sources of income. The workshops featured guest speakers on the important legal issues of running a tour on your boat or on your farm (licensing, permitting, liability, business structure), the ways in which seafood producers can build relationships with tour operators, restaurant owners and innkeepers to enhance their respective businesses, and more. 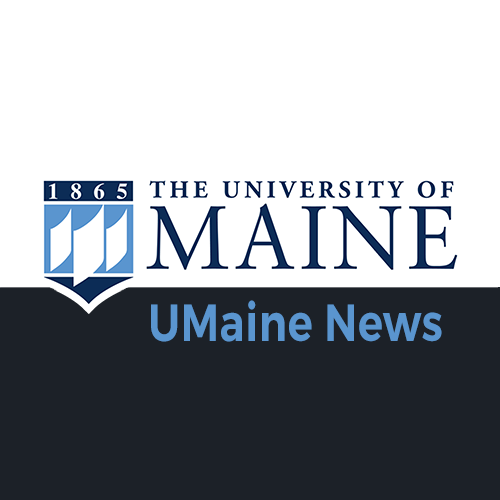 The workshops were hosted by Maine Sea Grant, University of Maine Cooperative Extension, the Lobster Institute, the Island Institute, and the Maine Aquaculture Association. Legal Framework of Fisheries, Aquaculture and Tourism, presentation at December 2013 workshops, by Scott Gunst, Esq. with Reeves McEwing LLP. List of examples (with websites) of businesses around the world who are combining fisheries and/or aquaculture and tourism. "Tourism: Business spin-off for sea farmers, lobstermen." By Dana Morse. Commercial Fisheries News. March 2014. “Fishing for tourists: an option for diversifying; tourism, fishing sectors come together to help improve bottom-line” The Working Waterfront Newspaper. December 13, 2013. Fact sheets distributed at workshops are available for download below. The fisheries tourism fact sheet series provides basic information to help fishermen and aquaculture farmers get started in tourism. Each fact sheet is 1-2 pages. What makes a great tour? Maine fishermen and women have faced a variety of challenges in recent years, including shrinking opportunities in groundfishing, scallops, urchins, and shrimp fisheries. The lobster industry has also been hit hard by low dockside prices and increasing costs. As a result of these and other issues, a growing number of harvesters are looking to tourism as a way to diversify and become financially stable, and to remain working on the water. Tours for lobstering, whale- and bird-watching, coastal fishing, and trips to shellfish farms have become more commonplace, as fishermen and aquaculture farmers begin to use their knowledge, their vessels, and fisheries infrastructure as unique assets in the tourist trade. In 2011, Maine Sea Grant received funds from the National Sea Grant Law Center to research the legal barriers faced by fishermen and aquaculturists as they consider engaging in the tourism industry. The legalities regarding those barriers were researched by a Sea Grant fellow and law student in the Marine Affairs Institute at Roger Williams University, in partnership with Rhode Island Sea Grant. Much of the legal framework outlined in the fact sheet series draws from the final report resulting from this research. Maine Fishermen’s Forum, Rockport, Maine, March 2, 2013, 9 a.m. to noon. Co-hosted by Maine Sea Grant, Lobster Institute and Island Institute. You’ve got the boat, you’ve got the catch, and you’ve got the drive, so how else can you make a buck? Fishermen are increasingly looking for ways to add to their income. What are the options? Taking paying tourists aboard? Add value to the catch? Chartering services for special trips or collaborative research? Each of these spin-off enterprises offers fishermen a chance to add income, but each also has legal and logistical hurdles. We’ll start this double session with a panel exploring the advantages of business diversification and hear stories from fishermen who have already found ways to diversify their income. You’ll then meet key resource people who can help you navigate the complexities of licensing/permitting, insurance/liability, business models, contracting, and marketing. During the second half, resource people will be stationed around the room and you can circulate and ask questions specific to your situation. Stay tuned for more workshops! Maine Sea Grant and the Lobster Institute produced these resources with funding from the National Sea Grant Law Center. The Marine Affairs Institute at Roger Williams University/Rhode Island Sea Grant provided legal research. Project advisors in the fishing and tourism industries, as well as relevant state agencies, reviewed fact sheets for accuracy and serve as workshop resource people.